Hopefully your 2016 had been a great year, if not then you got 2017 to look forward to, but in the meantime I'd like to review the year in terms of the books I've read and mention the top three standouts. Bit of a surprise for me actually to pick this book as my top 3 but I really enjoyed the simple and effective writing style, and a main character who you can actually like without the endless eye rolls. 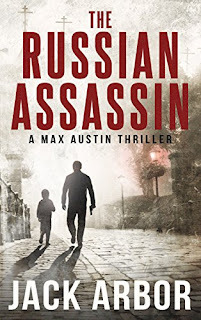 I know this blog is called Fantasy Muse but I enjoy reading other genres, especially action thrillers, and I thought this book was thoroughly entertaining and reminded me a lot of the Bourne series, not in terms of the storyline but relatable in regard to action, suspense and a protagonist you can root for. 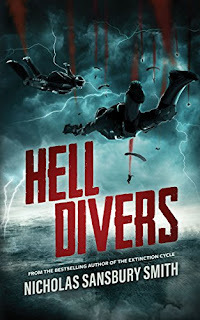 When I thought back to the books I've read this year, the one that flashed immediately to my mind was Hell Diver. From the beautiful front cover to the last page, I loved how unique this book was. 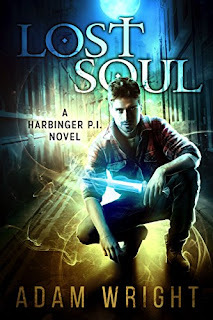 The story captured my imagination and even after finishing the book, my mind kept drifting back to the novel and I can't wait to find out what the sequel will be like. I wan't to finish my last post of 2016 by wishing you a successful and fulfilling 2017 and for me, I'm looking forward to reading books that will continue to inspire me to dream new adventures. I am fighting for my belief, my purpose. I have conviction and will as strong as an oak against the mightiest of winds, as strong as the rock against the pounding of the waves. You will not break me. You can snap every bone in my body, tear flesh out of by body, but you will not break me. This I promise. This I vow.